The following email was received on Monday 17th February 2014 at 17.32 . . . . 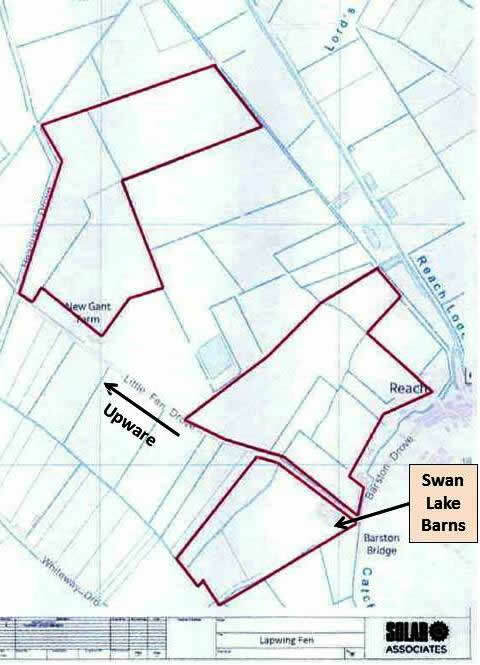 Solar Associates has announced that it will not be submitting a planning application for its proposed Lapwing Fen solar farm near Reach. A 2013 Cranfield University research paper commissioned by the UK Government’s Committee on Climate Change found that intensive agricultural practices are systematically degrading the fenland peat ecosystems. Solar Associates believes that solar farms provide an opportunity to conserve these sparsely populated, fragile and valuable ecosystems, reversing their on-going degradation at the same time as meeting the needs of the local farmers to generate a sustainable return from the land. The Reach site was identified because of its proximity to the a main electricity grid connection point. The company submitted a pre-planning application in December 2013, as an exploratory measure and has now received advice from East Cambridgeshire District Council and initial feedback from some local residents and other stakeholders. Based on this information, Solar Associates has decided not to proceed with the project. The following is therefore no longer relevant . . . .
As many of you will be aware, a company called Solar Associates is interested in developing a Solar farm on land between Reach and Upware and submitted a pre-submission screening application asking ECDC whether an Environmental Impact Assessment (EIA) was required. Reach Parish Council wrote to ECDC advising that they believe an EIA was necessary. This Decision Letter shows that ECDC have decided that an EIA would be required. You should especially check out the map below which shows the extent of this development and you will see from the table that this proposal by Solar Associates is approximately 100 times the size of the recently discussed Midsummer Energy Solar Farm proposal. Chris Poulton, Director of Solar Associates, has agreed to attend a meeting to tell us more about the proposal and to answer questions. This will take place on Wednesday 26th February, starting at 7:30 pm in the Village Centre. Everyone is welcome - and encouraged - to attend. Please click here for a very insightful snippet of an interview given by the Rt Hon Gregory Barker MP, Minister for Energy and Climate Change in which he talks of " . . . . irresponsible large-scale [solar farm] developments and by irresponsible I mean developments on prime agricultural land that also impact on visual amenity." The village has been leafleted so we are expecting a large turnout for our meeting on the 26th February - for a copy of the leaflet please click here. For further information on this proposal you should click here then type in Reach where it says "Enter a keyword etc etc". 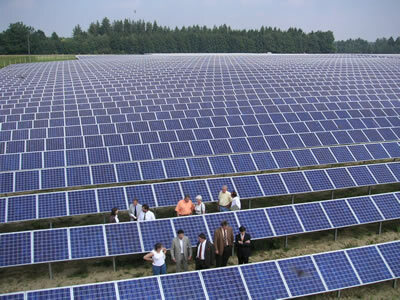 Go down the list and find the application entitled "SCREENING OPINION: Solar Park". Then just click on the title and all current information should be there. To see the current documents click on "Documents", then "View associated documents", select one of them by clicking on it and then click on "View" on the right hand side. Penelope Mills, ECDC Planning, Nutholt Lane, Ely CB7 4EE or email penelope.mills@eastcambs.gov.uk.